After an exhausting encounter in at Dorrien Gardens, a 95th-minute goal from Gustavo Catarcione sealed a come from behind victory for Perth SC over Floreat Athena. Floreat opened the scoring in the 6th minute when Robert Petkov tapped in from close range after Calvin Whitney’s lob hit the bar. This was quickly cancelled out in the 13th minute when Matthew Milenkovic benefited from a poor Floreat clearance to neatly finish at the back post. In a match where both sides’ passing lacked quality in the final third, each side could have more goals than they finished with. Petkov, in particular, may feel that he should have doubled his tally, having missed an open goal that resulted from a well taken Dean Evans curling free kick. In the dying minutes of the game, it was left to Catarcione to seal the game for Perth, after being played clean through on goal. 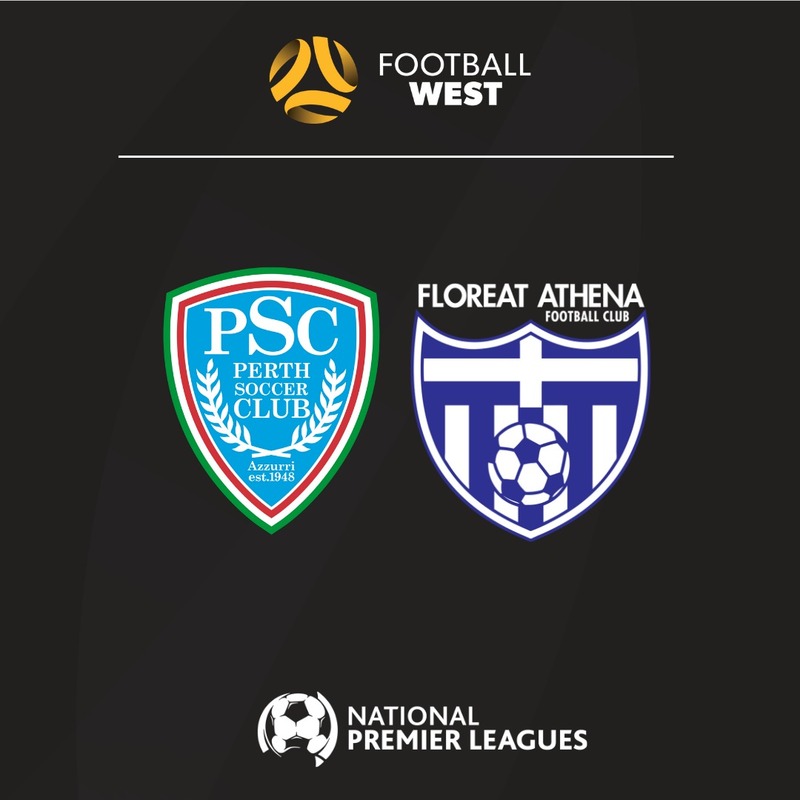 He held off a pressuring defender and lobbed the ball over an advancing Jason Saldaris to give Perth the honours in the City of Vincent Derby. Perth SC: 1. Dejan ALEKSIC (GK), 2. Alex SILLA, 4. Tom SOUTHGATE,5. Niccola SABATINI, 6. Harley ORR (20. Paul ZIMARINO 60), 9. Gustavo CATARCIONE, 11. Matthew MILENKOVIC 12. Jordan DE LEO, 14. Kristian SANTICH, 18. Michael DOMFEH, 19. Bojan RADINOVIC. Unused substitutes: 3.Tristan COLLI, 23. Jordan BARBAS.